I'm basically never going to get over the fact that Rescue Beauty Lounge shuttered. Not to be overly dramatic, but the day I received the email telling me the company was shutting down was one of the saddest in recent history. (Okay, maybe that's a LITTLE over the top, but still. I was and still am really upset about it.) 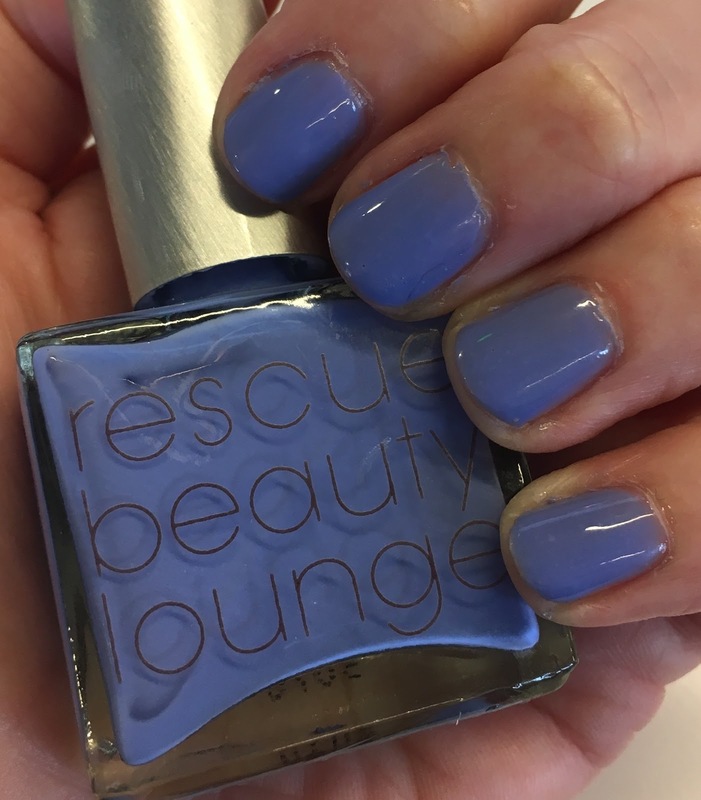 So, in homage to the nail polish brand that forever has my heart, I pulled out an oldie but goodie this week -- Rescue Beauty Lounge Ah, Oui. This polish is just the most perfect, beautiful shade of periwinkle. And, since periwinkle was one of my go-to colors in my old Crayola 64 crayon box, it only stands to reason that I'd love it as much on my nails as I did in my childhood drawings! This is also one of those colors that just looks so good on fingers and toes. It's a standout shade but not so attention grabbing that it becomes annoying. It's somehow calming and arresting simultaneously, which basically just means I'm staring at my nails over and over while I type or scroll on my phone. What are you wearing on your nails right now? Let me know in the comments! This is such a stunning shade. I have a few RBL that I cherish. (cherish so much that I have never used them!). I love that glossy blue! I don't haven enough room for all my polishes in my new home so I've been giving away dozens and dozens but none of my Beauty Rescue Lounge polishes are leaving me. This is a beautiful blue. I wish now I'd bought more. Aww, too bad they're shutting down. I'm sure it's hard to be in business these days. Anyway, such a beautiful shade!! I agree! I miss RBL so much! I can't believe it's already been almost 2 years. This is such a pretty shade of blue! I really, really love this shade! Periwinkle is one of my favorite colors of all time! This is such a great shade of blue!